Lasers show lights always fascinate people. 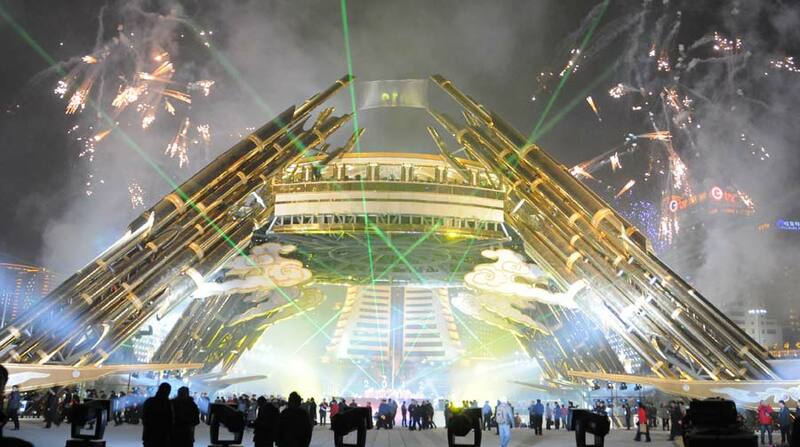 People will be watching this laser show for minutes and enjoy the fabulous colourful show. If you want to create a stunning and breath-taking mood at your audience you should decide to use a special laser show individual designed for your event. Laserworld’s event and laser show service offers a wide range of option to use laser shows: Fashion shows, product presentations, car presentation, boat launch, castle festivals, amusement parks, funfair and laying the foundation stone, these and even more is feasible. Make your fashion show unique and brighten up your fashion. Project your logo true to colour during your fashion show, combine your show with a great beam show and/or use haze, water or fire to make your show more expressive and remarkable. Also, if you like to present a new product, for example a new car, a laser show will be the perfect way. Pick up your guest on an emotional level and take them with the help of this laser show on a journey where they discover your new product. A good solution for every kind of product presentation is the 3D mapping. There you can directly project onto the outline of your product. Every single laser show will be specially designed and created for your need. For a perfect show presentation our qualified employees and partner work together on a high professional level and use Laserworld, SwissLas and / or RTI systems. Moreover we like to offer more service, like transport, construction and deconstruction of the laser show equipment, and also supply an operator if you need one.